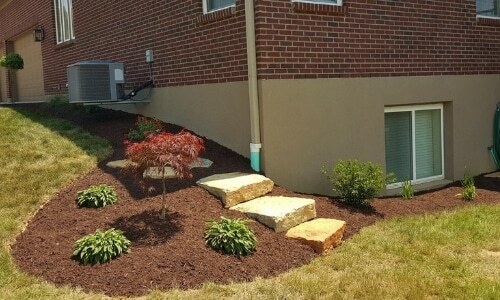 Yard Designs is a local, family owned and operated, lawn care, and landscaping company based in Burlington, KY. The owner, Josh Ballman, strives to make sure every service offered by Yard Designs is done with excellence. He does this by bringing on great people to our team and expecting honesty, fairness, and superior quality in all we do. We love that our clients can be left feeling confident that they received the best job no matter how big or small the project. If it’s lawn or landscape work you need, we can get the job done right! When our customers are happy so are we! We offer our lawn care and landscaping services to residents and businesses in all of Boone County, KY and most of Kenton County, KY. If you are looking for an affordable lawn care and landscaping service in Hebron, Burlington, Florence, Union, Villa Hills, Ft. Wright, Ft. Mitchell, Crescent Springs, Lakeside Park, Edgewood, or nearby we would appreciate a chance to earn your business. We cover the west side of Northern Kentucky only to keep our drive time to a minimum which allows us to offer your the best price we possibly can. 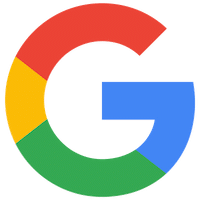 “Last summer my wife and I moved back to the Florence area. As difficult as it is to find the perfect house, we finally did but the back yard needed some major updates and lots of TLC. I called three places for estimates and Yard designs were the first to respond. From the office to Josh coming out and doing the estimate, I realized I wasn’t going to find a better company. They were quick to schedule an appointment and quick for an estimate. Josh was great with the estimate paying attention to every detail we wanted and also making recommendations. The project, which consisted of a complete rip out of 5 full grown trees (which Josh coordinated with other company), patio around pool, retaining wall, and over grown shrubs, started about 3 weeks after the estimate. 4 weeks after that we seen the finished project after we returned from a vacation to Florida. It was amazing to see the transformation and that we have our own piece of the “Florida feel” right in our back yard. Everything about this company is tremendous from professionalism to great hard work ethics. I’ve already spoken with them about coming back in the Spring for more work. 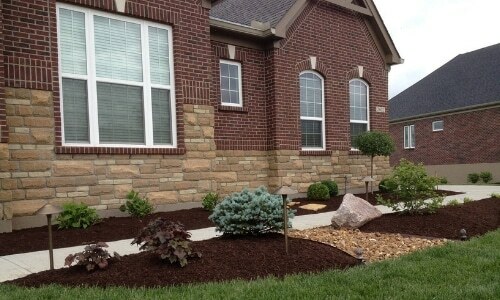 “Yard Designs does a great job. Always on time , clean up after themselves and pricing is good. Good to see a local young man do well in business. Have used Yard Designs a couple of times and have never been disappointed. 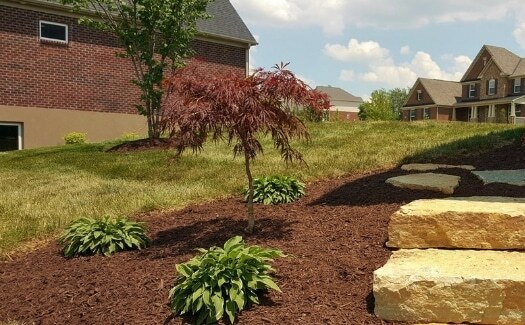 We strive to be Northern Kentucky’s top lawn care and landscaping company. That is why we separate ourselves with top employees and the best equipment giving you the best quality possible! 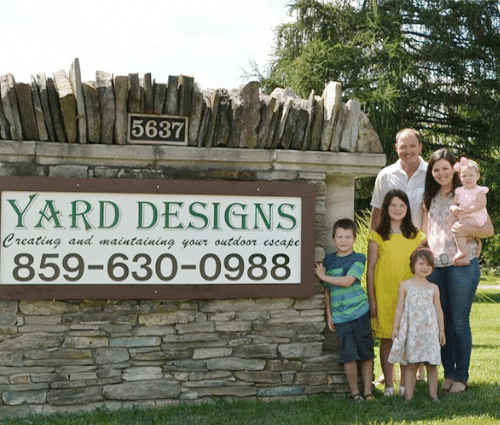 At Yard Designs, we do everything we can to set our company apart from the competition. We start by making YOU the priority. We try to answer every call we receive during business hours and return missed calls promptly. We are passionate when it comes to caring for lawns and landscapes and you can see this passion in every service we perform. If you are having communication, quality, or reliability issues with your current service provider, please give us a call. All of that can soon be a distant memory with Yard Designs! Stop hassling with your yard! We work with you to create a design that fits your style and needs. 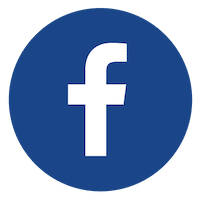 Read our client testimonials right from our site or click through to read them directly on Google and Facebook. We also perform landscape design and even install landscape lighting. Check out pictures of our work before contacting us. *Please call before stopping by our office as hours may vary. (859) 630-0988 - You can text us too! 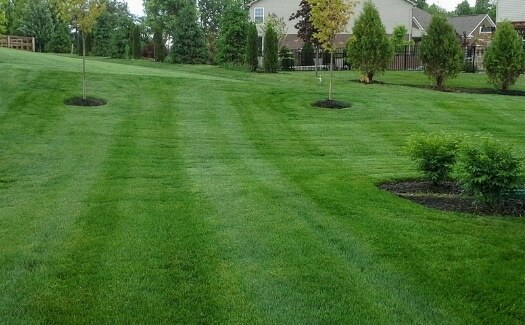 We are working hard to be your number one lawn care or landscaping company in Northern Kentucky. Thank you for considering us! 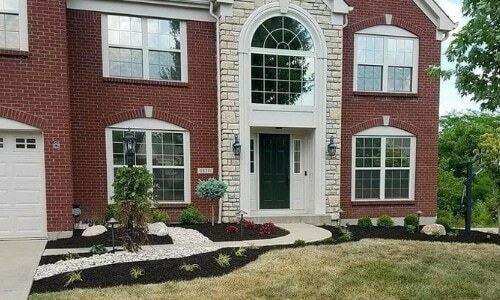 We offer lawn care and landscaping services in all Boone County, KY and the majority of Kenton County, KY.
Do you have a question about our services? Please contact us, we are happy to get you answers or provide you with our no-obligation quote. We cannot wait to get to work on your lawn and landscape.